I have been requested by several community leaders to share some ideas and thoughts about the upcoming Golden Anniversary in July 2019. I feel very lucky for this chance and definitely I will open up my heart. I have been in last 48 years participating in lead roles (OSA 46 years) in Indian and Odia communities. This post can be used as a Blog and Odishagateway.org (OG) can host this blog, and later when OSA site is constructed the Anniversary community management can decide how OG can support their management. OSA should immediately establish an Adhoc management team. Later on (in August-18) a management can be cemented. If you want to use an efficient and experienced hand to collaborate with OG reach out to Surya Sahu who knows in and out of OG. Flare up a OSA- Convention50 website (OSA) definitely have template to do that). Highlight Konark as “the” World’s 8th wonder. In any case the theme should be 100% NRI development (do not advertise this). Work with people in Odisha for a great success. Theme for “Vistnu and Bhaktas” (depicting Love of “one wife” and “16, 000 Bhattas”. The dance will be one lead “Radha and 16,000 Kristna” segment with Konark style art, followed by “Gopi segment” depicting a “Kirtan” music and dance by “males” depicting representing CLICK HERE FOR a You tube dance. The Kirtan segment will be males (one scene + females second scene continuous. If possible one part of it could be a video obtained from Odisha etc. This will be a real Sangam (coordination never done before. We do the lyrics, design and give to them. One could even reach out to the Srikristna group in Odisha. Establish a schedule and revise every month as progressed. 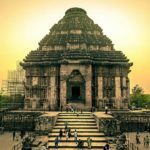 3D- Printing of Konark. If Konark is theme we need to develop a replica through the universities in Odisha such as the IIT ( . This digital replica will be there for ever anybody can develop other digital media productions. It is a high technology production. I am unaware of anything like this in Odisha/India with actual quality. If I am wrong please let me know. Reach out to high level institutions (Ravenshaw, Utkal University, IIT). Take this enthusiasm to refocus on a Radio Station for Ravenshaw that once Debdas Chhotray had started but it died. It all should be magical, “no ifs and buts.” Now we have time. Please input your thoughts via e-mail to DrSNRay@aol.com Subject line: OSA50 or via this blog. If anybody senses problem please let me know. For the details of the celebration please CLICK HERE. It’s a great idea to promote Konark – the 8th Wonders of the World. I hope a special segment can be planned through dance, drama or music. Let’s work on it. Thanks for your creativity. Thanks for the comment. I am developing a theme as you indicated for Music and Dance that I will share on this blog. Kindly suggest who else you want me to add to the distribution. How do I bring in our local dance Guru for sharing his valuable input to this idea. I already have thought over my theme suggestion.